Americans tend to think of air pollution as something that is outside, but according to the American Lung Association, indoor air quality in our homes can be more polluted than outdoor air. The EPA, National Institute of Health (NIH) and American Lung Association all consider poor indoor air quality a risk factor for many health problems. Here are some basic steps that homeowners can easily take to improve indoor air quality. You might not have noticed these hanging around as many of these sources have no smell or signs. When home ventilation is insufficient, these can really build-up and cause asthma, lung disease, allergies, infections, and other health concerns. Improving your indoor air quality is easy with these three easy steps recommended by your local Fox HVAC technicians. Ensure your heating system filter is clean and working. Furnace filters (also called media filters or mechanical air filters) remove particulates from the air by capturing them in filter materials. A good 4 inch furnace filter can eliminate all but the smallest viruses. Most heating systems are designed to have filters changed 4 times per year. Often your programmable thermostat will remind you when it’s time. An electronic air cleaner is an alternative to a furnace filter. Attached to your furnace or air handler, it creates a small charge which traps particulates on its collector plates. Instead of buying and installing a new filter, the plates are removed and cleaned. Harness the power of the sun with UV light. The sun produces natural air cleaning UV light, and we can harness that power by installing UV lights into the heating system. UV or ultraviolet light has been shown in multiple research studies to kill germs, bacteria and mold. The UV light for heating systems will kill germs and molds on and around the surfaces of the furnace, so that the air that goes into your ducts is clean. UV can reduce allergies and improve health in the home, just as it does in hospitals. Have a carbon monoxide detector and be sure to change the batteries. Installing a carbon monoxide detector is quick – it just plugs into the wall – and it could save your life. It’s now the law in Washington State that all new heating systems be installed with a CO detector, but many older homes don’t have them. Also by having an annual furnace maintenance, our Fox professionals will check your heating system for any potential leaks or dangers. Finally, always remember to let fresh air in to your house. Proper ventilation is important in you home, especially when you paint, use household cleaners or have someone in your home who smokes. And even if you aren’t doing those things, with all of the treated home products from wood to carpet to stain resistant furniture, there are a lot of potential sources of indoor chemicals. 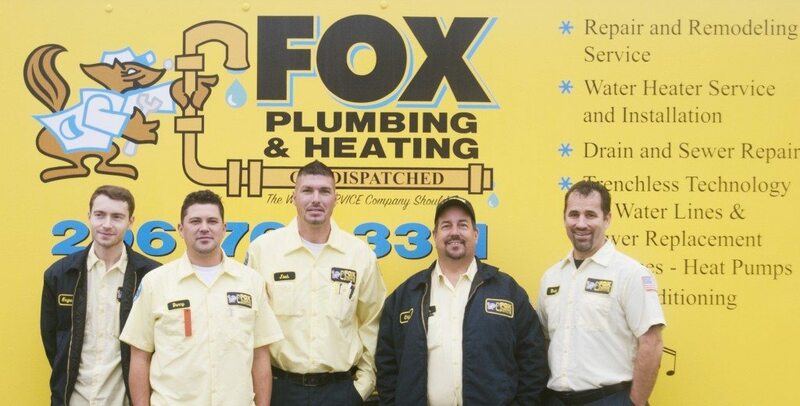 Contact a Fox HVAC technician to provide you with options to identify issues and improve your indoor air quality.